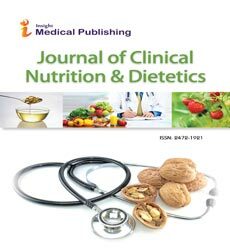 Several web pages and journals have been lately published news on hidden sugar in foods, sometimes in an extensively descriptive form, sometimes applying scientific concepts [1-4]. Also, interesting web pages show graphically how much sugar there is in foods (i.e., how much grams of sugar or sugar cubes are contained in soft drinks, canned vegetables, breakfast cereals, soups and sauces…); foods that, initially, should not contain sugar in its composition . How true is all this? The colloquial term “sugar” refers to simple sugars or free sugars (i.e., monosaccharide’s and disaccharides) “added to foods and beverages by the manufacturer, cook or consumer, and sugars naturally present in honey, syrups, fruit juices and fruit juice concentrates” according to the WHO Nutrition Guidance Expert Advisory Group (NUGAG) Subgroup on Diet and Health . It is compulsory to remember that Non-communicable diseases are leading causes of death of 68% (38 million) of the world’s deaths , and high free sugars intake is strongly associated with risk of these pathologies [8,9]. Accordingly, WHO strongly recommends reducing free sugars intake to less than 10% of total energy intake, and a further reduction to below 5% , which represents 25 grams or 6 teaspoons per day in adults? In spite of these recommendations, consumption of free sugars is high among human populations, and it varies according to country, setting, rural or urban area, and age. So, sugar intake in adults represents 7-8% of total energy intake in Norway or Hungary, 12% in Sweden, Slovenia or Denmark, 16-17% in the United Kingdom or Spain, and around 25% in Portugal. Rural South African communities show 7.5%, but in urban communities it is around 10% , and United States citizens consumed around 18% . One can understand that it seems easy to reduce voluntarily consumption of sugar; however, are people conscious about hidden sugars of foods? How much sugar is contained in foods and what foods show higher quantity of free sugars? A simple answer to these questions perhaps may contribute to an effective reduction of sugar intake, and hence make healthy our diet. Major sources of free sugars or added sugars are regular soft drinks, sweets and candies, cakes and similar, fruit drinks and juices (not homemade), flavored waters, dairy desserts and several milk products, soups and sauces (not homemade), processed breakfast foods and smoothies, tea and coffee drinks, but also canned vegetables, industrial breads, hamburger buns, salad dressings, noodles and some alcoholic beverages. Sugary drinks are the biggest source of free sugars, and hence extra calories with no nutritional benefits, the well-known “empty calories”, and people consuming these beverages don’t compensate this high caloric content by eating less food. These beverages contain 34-47 g of sugar per can (approx. 12 oz. or 330 mL). Conversely, sugary drinks are the major contributor to obesity, type 2 diabetes mellitus, cardiovascular diseases, and metabolic syndrome [12,13]. Per serving, many sauces have 3-16 g of sugar, fruit drinks and juices 12-65 g, flavored waters 10-25 g, vegetable soups 8-24 g, dairy desserts and milk products 6-16 g, processed breakfast foods and smoothies 16-48 g, tea and coffee drinks 12-60 g, but also canned vegetables 8-25 g, industrial breads, hamburger buns 8-12 g, salad dressings 3-16 g, noodles 8-16 g and some low alcoholic beverages 0.2-35 g, but also in pre-cooked foods that may contain 8-25 g [14,15]. Most countries have legal rules on information of nutritional facts of foods that must be given to consumers, mainly on energy, total fat, saturated fat, carbohydrate, sugar, proteins and salt contents. Sometimes information on sugar food contents may be partially masked under different names (nectar, sugar, crystals, sweetener, syrup, dextrose, maltose, fructose, invert sugar, sucrose …), but also no distinction is usually made between natural and added sugars, and sometimes alcoholic beverages are exempt to present nutritional facts. To sum up, hidden sugars in food pose a major health risk that must be avoided, in a similar way to what already known about hidden fats. Further research on sugar contents of food is needed and will be welcomed, and afterwards this information must be given as soon as possible to consumers. Moreover, foods rich in added sugars should be subject to special surveillance by the health authorities, encouraging the reduction of this content, in order to improve public health. Patel S (2015) The foods with high amounts of hidden sugar Independent. Iturriaga ML (2017) Revealed: the hidden sugar in the food we eat every day. El Pais. Mosley M (2017) How much sugar is hiding in your food? BBC iWonder. Gill N (2017) Hidden sugars in 10 common foods. Eluxe Magazine. World Health Organization (WHO) (2015) Guideline: Sugars intake for adults and children. Geneva. World Health Organization (WHO) (2014) Global status report on noncommunicable diseases. Geneva. World Health Organization (WHO) (2009) Global health risks: mortality and burden of disease attributable to selected major risks. Geneva. World Health Organization (WHO) (2003) Diet, nutrition and the prevention of chronic diseases: report of a Joint WHO/FAO Expert Consultation. WHO Technical Report Series, No. 916, Geneva. World Health Organization (WHO) (2015) WHO calls on countries to reduce sugars intake among adults and children. Geneva. Johnson RK, Appel LJ, Brands M, Howard BV, Lefevre M, et al. (2009) Dietary sugars intake and cardiovascular health: a scientific statement from the American Heart Association. Circulation 120: 1011-1020. Department of Nutrition at Harvard School of Public Health (2012) Sugary drink supersizing and the obesity epidemic. Fact sheet. Boston: Harvard University. Manger W (2014) The secret sugars in some of your favourite foods. Mirror. The Nutrition Source (2009) How sweet is it? Boston: Harvard University.